Designed by Henry Hertz and Hugh Tallant, construction of the theatre began in 1902 and it officially opened on 23rd October 1903. The inaugural production was William Shakespeare's A Midsummer Night's Dream. From 1913 to 1927, the theatre became the home of the infamous "Ziegfeld Follies", which showcased such talents as the 'Funny Girl' herself Fanny Brice. In 1937, however, the building became a cinema and later closed its doors in 1985. 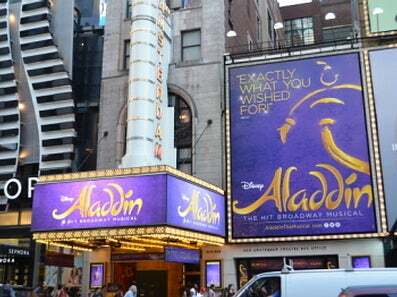 In May 1995, Disney Theatrical Productions signed a 49-year lease for the property and restored it to a traditional theatre, officially re-opening it on 2nd April 1997 and went on to stage the Broadway premiere of Disney's The Lion King.